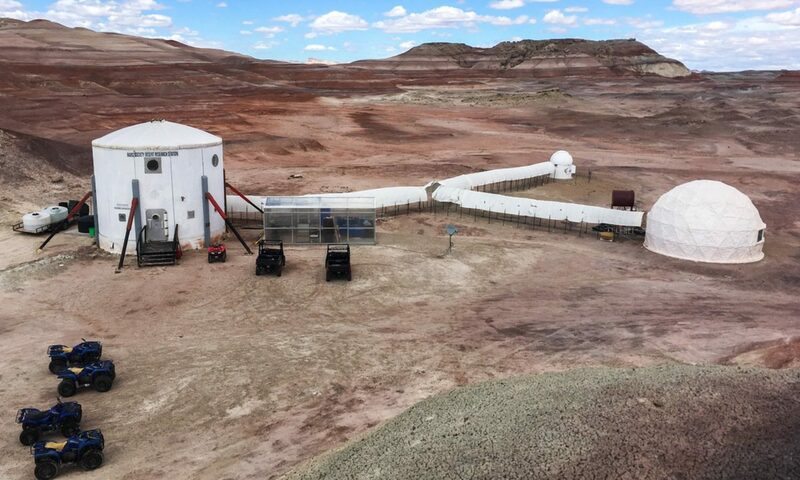 The Mars Desert Research Station is an ever-expanding project. Initially composed of only the main Hab and a GreenHab, new modules have since been added. 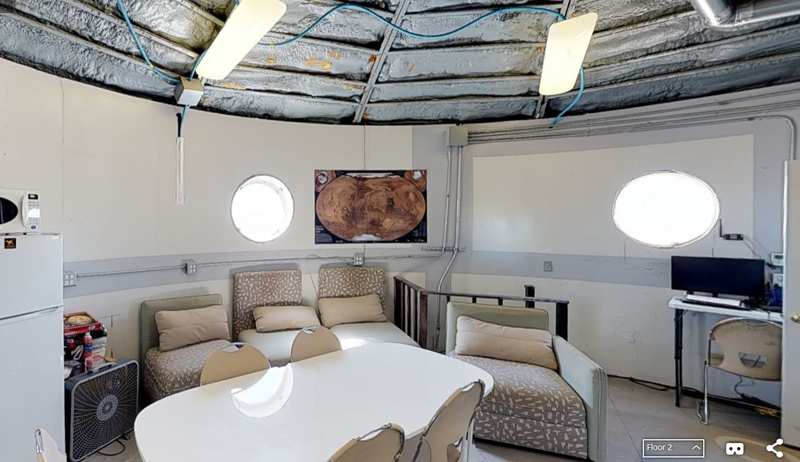 A solar observatory (the Musk Observatory), an automatic night telescope, solar panels, the Repair and Assembly Module, as well as the Science Dome which has allowed the laboratory to be moved from the restricted lower deck of the Hab to a brand-new area with lots of space to work. Among our researchers working in the Science Dome are Ariane and Fred, both experts in microbiology. Ariane is a molecular biology graduate, currently beginning her doctorate in the field of genetics. Her experiment, despite being centred on microbiology, is of great importance to the whole crew: she is making Martian bread! Indeed, we may imagine a situation in which we would run out of yeast on Mars, leaving us unable to make one of our favourite staple foods. To keep the bread production sustainable, we would need to get the yeast, lactobacillus, from elsewhere, and that is exactly what Ariane is doing: she is isolating it from human saliva! This is no easy task. First, she sampled saliva and cultivated the many microorganisms it contains in Petri dishes. These Petri dishes were supposed to be filled with what we call a selective medium – a substance which only allows for the growth of a specific microorganism, in this case, lactobacillus. Unfortunately, the shipment from Earth which carried this medium has had an accident, and hasn’t been able to reach us in time. Ariane therefore had to rely on her knowledge of microbiology to manually isolate and cultivate only the required yeast, and no other micro-organism – no easy task, given their very close resemblance! She is currently very close to achieving her goal, and the rest of the crew very close to eating our first true Martian bread (made, in part, from spit)! Fred, on the other hand, is a biotech and pharma graduate, currently pursuing a doctorate in bacteriology. His fist experiment, concerning plant culture in Martian regolith, has been covered below. 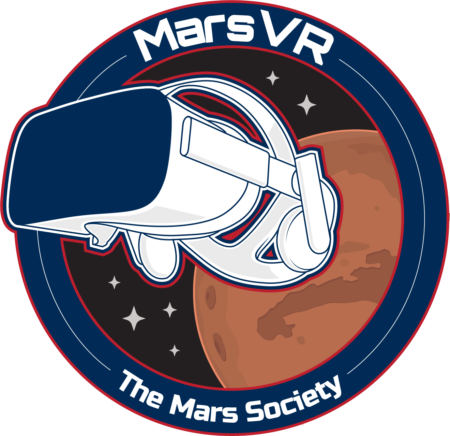 In addition to this, he is also working on a microbiology experiment, aiming to evaluate the survival capacity of bacteria in the harsh conditions that exist on Mars. He is using the bacterium bacillus subtilis, a very common microorganism, and placing it in small quartz vials (a material which allows UV rays to pass unhindered), in different conditions around the station to see how many of them will survive. At the end of the experiment, these bacteria will be counted and their numbers compared to a standard sample which will have been staying in the safety of the Science Dome. This experiment is especially interesting because it sets out to answer many questions about the ability of earth-born bacteria, which are therefore adapted to earth-like conditions, to survive in an environment that is literally alien and extremely aggressive. If conclusive, a positive result could mean that the Martian environment is suitable to harbour Earth’s microbes, which could mean many things for agriculture, human life, development, terraforming, and generally our future on the Red Planet.